The author writes about the importance of Ethiopia hosting the 19th plenary assembly of the Catholic Church’s Association of Member Episcopal Conferences in Eastern Africa, in a country rich in religious traditions. All roads are leading to Addis Ababa, Ethiopia where the AMECEA 19th plenary assembly will take place on 13-23 July 2018. This is a historical event for Ethiopia; a country where Christianity has been thriving since the 4th century, to host this year’s plenary for the first time in its history. AMECEA stands for Association of Member Episcopal Conferences in Eastern Africa, and includes the following countries: Kenya, Uganda, Tanzania, Ethiopia, Sudan, South Sudan, Zambia, Malawi, and Eritrea. Djibouti attends as an observer. This covers a large region that traverses the Horn of Africa, Eastern Africa and touches a bit of Southern Africa since Zambia and Malawi are part of AMECEA. If we were to follow the recent regional integration framework, Rwanda and Burundi would technically be part of the AMECEA region since they belong to the East African Community. That Ethiopia is hosting the 19th AMECEA plenary assembly is an event to be celebrated with great excitement. Ethiopia is home to the main Abrahamitic faiths: Christianity, Islam and Judaism. The largest religion by numbers is the Orthodox Church that is estimated at about 40 percent of the population, followed by Islam that is estimated at about 35 percent of the country. The Protestant Church together with evangelical churches constitute about 20 percent, while the Catholic Church is about 0.8 percent. In a country of over 100 million people, the actual numbers of believers for the all the religions are impressive. Important to mention that even though the Catholics constitute a small percentage, they provide the largest proportion of social services such as schools, health services, women’s promotion projects, and care for refugees. The theme chosen for this year’s plenary is: “Vibrant Diversity, Equal Dignity and Peaceful Unity in God in the AMECEA region”. This theme captures well the main issues that the AMECEA region is facing: ethnic conflicts, armed violence and unequal development. The Catholic bishops will spend some days reflecting on these issues and hopefully come up with some pastoral strategies to address these challenges. I will try to analyse the significance of AMECEA’s coming to Ethiopia at this time in the country’s history within the conceptual framework of religion and public life, faith-based diplomacy and Catholic social teaching. All is in place for the opening of the AMECEA 19th plenary. In May 2018, the AMECEA team came to Addis Ababa to assess the preparedness of the host country. Several committees were already in place, fundraising was almost finalised and fine details were being worked on. Pamela Adinda reporting for AMECEA Online News reported that subcommittees of Logistic, Fundraising and Communication were already in full operation. As early as 19 March 2018, the Plenary Preparatory Steering Committee met in Ethiopia, and it was attended by Rev. Fr. Emmanuel Chimombo. An event of such a magnitude requires thorough preparation and taking care of minor details. While the host country takes care of the planning and organisation of the event, the AMECEA Secretariat offers oversight and close monitoring, as well as technical support. Interesting to note is the fact that Ethiopia and Eritrea officially joined AMECEA in 1979. As AMECEA holds its 19th plenary assembly, Eritrea and Ethiopia have embarked on a reconciliation process that will see the resumption of diplomatic ties of the two countries, thanks to Ethiopian Prime Minister Abiy Ahmed’s initiative to bring about peace and unity between the two close neighbours. Not leaving anything to chance, the preparations also included a lengthy prayer that details the main issues of the AMECEA assembly. The prayer that has been used in churches and by individuals starts with a reminder that Jesus Christ found shelter in Africa, referring to the flight to Egypt of Mary, Joseph and the child Jesus when King Herod was planning to kill him. “Your son Our Lord found shelter in Africa, where many countries are facing violence due to ethnic differences and other causes.” The prayer further refers to ethnic diversity as “a positive value to be cherished.” The appeal is then made that God should help us to “…reject every form of violence and heal the wounds of violence in the AMECEA region.” Another appeal is “…to love all without distinction according to the Gospel values of love and respect of human dignity.” These themes in the AMECEA prayer are aspects of Catholic social teaching: the common good, human dignity, peace and equality. This is how the theme came up: Vibrant diversity, equal dignity and peaceful unity in God. While the preparations were going on, the political climate was rather worrying since the then Prime Minister Hailemariam Desalegn had resigned, amidst tensions in the country. Fortunately, the transition went on smoothly and Dr. Abiy Ahmed became the new prime minister of Ethiopia. The mood is currently of great expectation and excitement. AMECEA’s 19th plenary will be a positive addition to the growing optimism in the Land of Origins, as Ethiopia is affectionately called. The event has been widely publicised both in the print and electronic media. 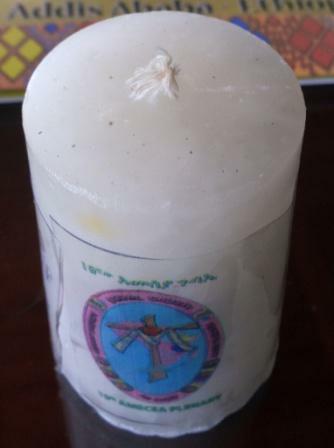 The AMECEA logo is quite visible on T-shirts, candles, key holders, pamphlets, and billboards in Addis Ababa. This event will also be an opportunity for the Catholic Church to be a little more visible as a numerical minority church. What is so special about Ethiopia hosting the 19th AMECEA plenary assembly? Since AMECEA was started in 1960, different countries have been hosting its plenary assemblies on a rotational basis. Hosting an assembly requires a lot of logistics and resources. So to host the AMECEA for the first time in itself attracts some attention and curiosity. The Secretary General of AMECEA Rev. Fr. Ferdinand Lugonzo, based in Nairobi, Kenya where the Secretariat is located, stressed the significance of Ethiopia hosting AMECEA in the following words: “The question of the Catholic presence being small but contributing a lot in the social ministry of the Church to the population in Ethiopia makes it hold a very specific position.” The Catholic Church in Ethiopia acts as a salt and light of the world as Jesus stated: “You are the salt of the earth, you are the light of the world.” The point here is that you do not have to be a large body to make a difference. After all, the Catholic Church is one and universal. Ethiopia is also home to close to a million refugees from the region. It is estimated that about 900,000 refugees find shelter in Ethiopia from Yemen, South Sudan, Eritrea, Somalia, and the Democratic Republic of Congo. Ethiopia is also a country of origin and transit for migrants. Quoted by AMECEA communications online news, Rev. Fr. Ferdinand Lugonzo reiterated this point of refugees and Ethiopia: “Ethiopia is a country where there is a lot of movement of the young populations to the East and to other countries.” He further argues that: “Therefore we are looking at Ethiopia as a place that can really fit the theme that was chosen, and also the fact that Ethiopia is the headquarter of the continent where the African Union offices are situated. We feel that the presence of the Church in this region in Ethiopia specifically in Addis Ababa is an opportunity for us to bring to the country the reality that the Catholic Church is bigger than the minority that Ethiopia has.” Very well expressed. The touristic potential of hosting AMECEA cannot be underestimated. Ethiopia is well known for numerous ancient sacred sites, churches, monasteries and sacred objects. These constitute what can be termed “sacred tourism.” Events such as Timkat and Meskel attract millions of tourists to Ethiopia, bringing in foreign currency. Hosting AMECEA will be another addition to Ethiopia’s Sacred Tourism. The open mass on 15 July 2018 is expected to attract about 10,000 participants. Some of the participants will come from abroad and they will not only attend the AMECEA events but also visit places of tourist interest around Addis Ababa and beyond. The Ethiopian Airlines has been earmarked as the sponsor for the AMECEA participants who will be travelling to Ethiopia. According to the Ethiopian Catholic Secretariat (ECS) website, the Ethiopian Airlines has given a discount of ten percent to all AMECEA participants who will be travelling to Ethiopia. This is a good marketing strategy as well. The Secretary General of ECS Abba Hagos Hayish CM well articulate the partnership with the Ethiopian Airlines: “We are proud to be partnering with Ethiopian Airlines, the new spirit of Africa, in welcoming our Brothers and Sisters coming from all over the world for the plenary. We hope our guests will enjoy their journey to Ethiopia, the Land of Origins.” Those who travel with Ethiopian Airlines will no doubt enjoy the comfort of the Dreamliner jets and may consider using it more often. 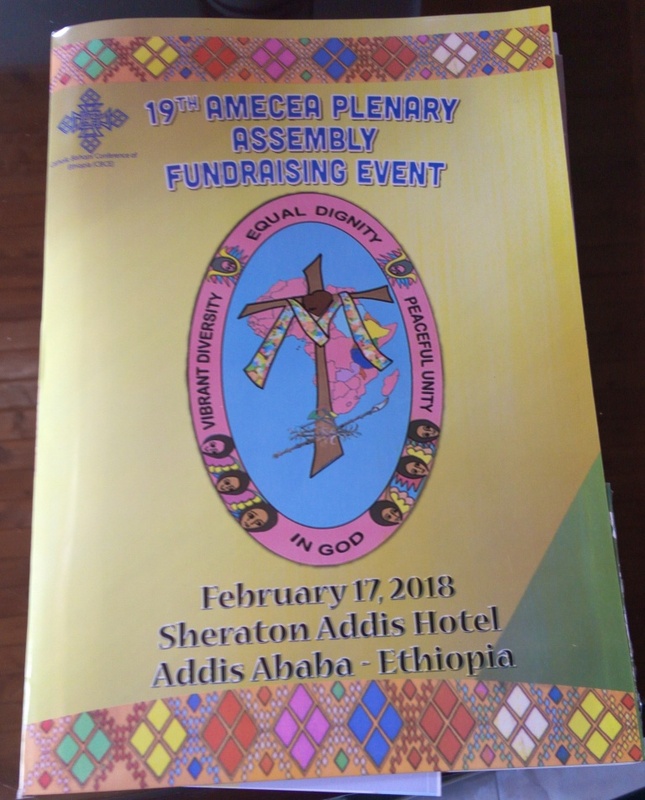 The guests during the AMECEA assembly will also notice the unique Ethiopian Ge’ez liturgy of the Eastern rite, in which the opening mass will be conducted. And since Ethiopia is also host to diverse cultures from the rest of Africa, the closing mass will be conducted by the international choir, French and St. Cecilia Choirs based at Holy Saviour Parish in Addis Ababa. Swahili, French, English, Latin, Chewa, Lingala, South Sudanese, and Ndebele songs will add flavour and colour to the AMECEA celebrations. The Catholic Church never shies away from its public role. The Catholic social teaching that addresses issues of justice, religious freedom, democracy, human rights, human development, human dignity, peace, and common good, can be used by any person of good will. It is the part of Catholic doctrine that is open to any body since it deals with issues of day to day life, regardless of one’s creed. Usually the host head of state is invited to address the AMECEA assembly. It is expected that the Prime Minister Dr. Abiy Ahmed will address the AMECEA assembly. This will be an opportunity for him to learn more about the Catholic Church and for him to address the Catholic community in Ethiopia. He can use this platform to address issues of love, unity, reconciliation, and building bridges, as he has been doing recently. Dr. Abiy has portrayed himself as “Preacher Prime Minister” by his constant appeal for values of unity, reconciliation and love. This is the best opportunity to restate these themes that Ethiopia needs very urgently. There is a growing interest in what has been termed Faith-Based Diplomacy, whereby values from various religions are used in public diplomacy such conflict resolution, truth, justice and reconciliation mechanisms, mediation and peace-building. Issues of advocacy and development for social justice can also be addressed by different faiths. Rather than being considered as rivals to state power, religions are partners in development and peace, with states. Generally, ordinary people trust faith-based organisations, as they tend to work closely with the people addressing their daily needs, without any other ulterior motives other than service and compassion for the needy. Governments in general consider faith-based organisations, as collaborators in serving the common good. The AMECEA assembly in Addis Ababa will further confirm this positive approach to religion and state relationship. And for those who tend to think that religion has no role in public life or affairs, this is the time to change that erroneous view of religion. All roads are leading to Ethiopia for the AMECEA 19th plenary assembly of 13-23 July 2018. As we write some advance teams have already arrived in Addis Ababa for this momentous epoch making event. Ethiopia, as a country undergoing reform and transformation will reap great spiritual, economic and political dividends from this regional event that has been eagerly awaited. Guests will have a taste of the diverse cultures of Ethiopia, and they will in turn enrich Ethiopia. This is the time to celebrate the vibrant diversity that Ethiopia is known for, and also to promote unity peacefully. Prime Minister Dr. Abiy Ahmed should also use this golden opportunity to preach his usual message of love, unity and reconciliation not only to Ethiopia, but also to the rest of Africa. May the AMECEA region be an oasis of peace, development and unity and inspire the rest of Africa to follow suit. * Doctor Odomaro Mubangizi teaches social and political philosophy and is Dean of the Philosophy Department at the Institute of Philosophy and Theology in Addis Ababa, Ethiopia.